Reiki is a gentle technique that works on you physically, emotionally and mentally. It restores natural balance to your body, providing deep relaxation, and a sense of peace and well-being. 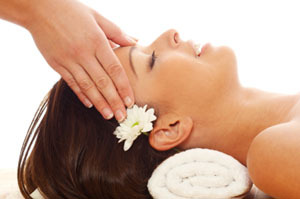 Indian head massage is a very relaxing treatment of your upper back, shoulders, neck, scalp and face. This lovely massage can help to relieve stress, eyestrain, sinusitis, tinnitus, insomnia, muscle tension, and temporo-mandibular joint syndrome.